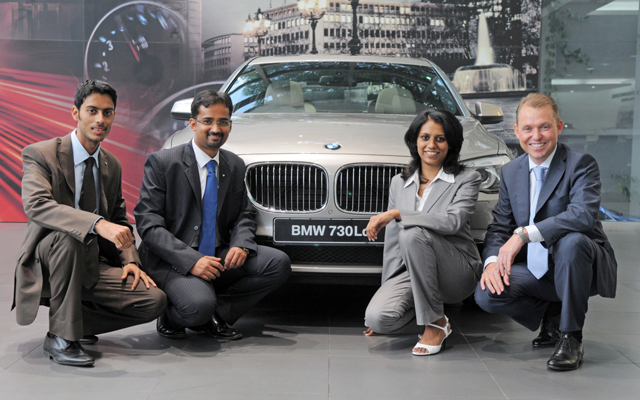 International Management Associates Program 2012 has been initiated by the BMW group in India. Designed for the young professionals to climb the ladder of success in their growing career, it will definitely give them a boost in their career. The Indian arm of BMW has introduced an in-depth selection procedure consisting of seven qualifying rounds and a three step interview process. 57 Delegates are to be selected from across the following 16 Countries which are India, Mexico, United Kingdom, Thailand, Korea, Russia, Singapore, United States of America, South Africa, Abu Dhabi, China, Indonesia, Switzerland, Austria and Spain, for the International Management Associates Program2012. This program will consist of three different spins and two global assignments, in which tactical and functional projects will be assigned by the BMW group in India as well as internationally to the newly selected Associates from the Management Associates Programme. Associates will advance in their knowledge and experience in reference to business ethics, culture and strategy from the projects assigned to them. A personal mentor from BMW India who’s a well experienced manager will be available to support these special Associates during the course of the program. Each candidate will be assigned a common assignment in Germany with duration of six months. This exciting opportunity will allow the BMW associates to meet people on the same wavelength but from different parts of the country. Doesn’t this sound familiar? More like the rigorous interview process that Mr Donald Trump uses to select a new candidate called ”The Apprentice”. These types of interviews bring out the best and test how good you are under pressure. It examines the different aspects that connects the candidate to the local environment and global as well. Forthis program, Management graduates specializing in finance, marketing, sales, or students who have completed either of the following types of courses will be eligible. The courses include full time post graduate diploma in Management or Masters of Business Administration or Chartered Accountant. They must be within the age group of 23 to 26 having a minimum experience of 2 to 4 years. Those who are interested in trying out this opportunity of a lifetimemust email their resume along with a passport size photograph (word document) to bmwmap@antal.com stating your specialization in either Sales or Marketing or Finance. Make sure that it is done by 14th July 2012.